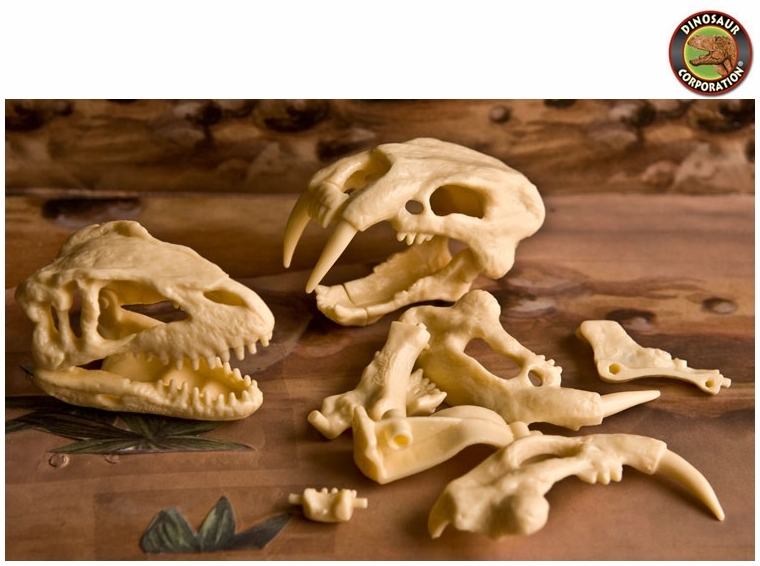 Jurassic World dinosaur plastic skulls puzzles fake fossils are a fun way to add a hands on activity to your child's next party. We suggest you bury them in sand or dirt. Kids will love being young paleontologist and hunting for there very own fossils. When they find all the pieces they can put them all together to make there very own dinosaur. These make a great dinosaur party game as well as a party favor/keepsake. You will find small bones of Tyrannosaurus rex and Saber Tooth Cat. Discover Your Favorite Prehistoric Dinosaur Skeleton at Your Backyard!